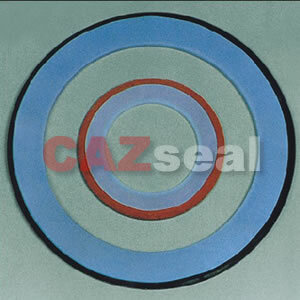 CAZ 450 PTFE Gasket is molded or skived or cut from virgin PTFE powder or compounds, sheets, rods, tube etc. It has the best chemical corrosion resistance among known plastics. Without being aging, lowest friction coefficient, wear resistance. The unloaded operating temperature range is -180~+260C. 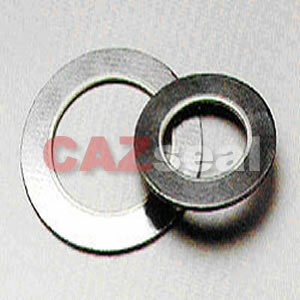 CAZ PE670 PTFE Envelope Gasket consists of rubber-asbestos, non-asbestos, rubber, corrugated stainless steel etc. 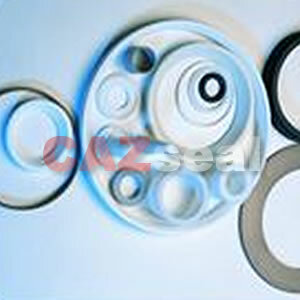 cushion material encased in PTFE envelope, resulting in a gasket with the excellent corrosion resistance of PTFE and the strength and resilience of core material. It can be produced in several types to meet the most demanding applications. 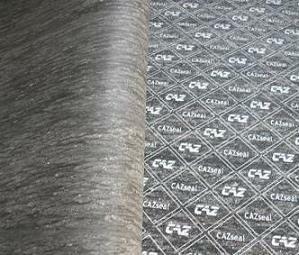 CAZ professional rubber manufacture factories can offer you a widely range rubber products---460 Series, can satisfy various industrial demands. 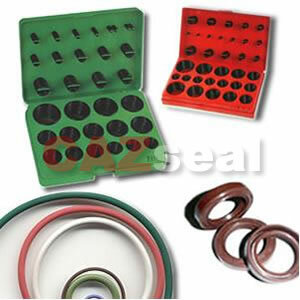 They are rubber sheet, O-rings, kits, FPC-O-ring, Oil seals, rubber rope, rubber strip, rubber foam, Pump & valve rubber, and various rubber parts etc. Which are mainly used in hot-water heating & sanitary and bathing condition , electron and electric appliances, hardware and machinery, hydraulic & pneumatic, vehicle & motorcycle, automotive, etc.